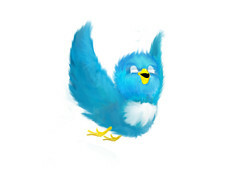 Home Tweet Your Way To Small Business Success! Tweet Your Way To Small Business Success! Have you decided to start using Twitter as a part of your digital marketing strategy recently? And if so, how far have you got with regards to the setting up of the whole shebang? Because thousands of other small businesses have already found that this massive social media platform can prove to be extremely lucrative for getting your brand out there to potential customers. Or perhaps you have been using Twitter for some time and can’t quite get back what you are putting in effort wise. But whatever your interest in Twitter, we have devised a small guide that should allow you to see some pretty cool results within a short time frame. Please spend a few minutes perusing the remainder of this short article and we are sure that you will be glad that you did. If you have already used Twitter for your personal social media activities, it is probably best to open a new profile that represents your brand appropriately. It is vital that you use your brand image for all of your digital marketing vehicles, including Twitter. Any kind of deviation between these platforms will only prove to damage your brand’s perception. When you decide on a Twitter username, use your brand name for this, or at least pick a name that is very close to your business description and profile. You may use a headshot for your profile picture, but be sure to use your logo as the larger background picture. This will add both personal and professional dimensions to your Twitter account. The whole reasoning behind using Twitter as a marketing vehicle is that it is an excellent vehicle for reaching out to your potential audience. In order to instil a high level of trust, ensure that your profile is filled in effectively. Try not to miss anything out and remember to add your company url where appropriate. You should also let them know where they can find you in a physical sense, even if you work exclusively offline. If you can create a specific Twitter landing page for your followers, this will work like a charm. Before firing off your first ever Tweet, it is good practice to start following a few people yourself. Be selective when choosing your first few people and use their profile to check them out. You should be looking at competitors, potential customers, peers, and people who you know. This crowd will generally appreciate you following them and should return the favour. Their followers may also find your comments interesting in time, and they should come aboard. This is where the fun begins, well sort of! Do a fair amount of listening and jump in when you feel comfortable enough to make a contribution. If you are marketing something as bespoke as a Fixed gear bike, you can usually find a crowd that will be interested in your opinion. We’ve given you more than enough material to be getting on with, so have fun and let us know how you do!